Adhesive glue on the back of a price tag keeps it adhered to the surface of a mirror. But once the mirror is purchased and in your home, you need to be able to get the sticker off. Peeling off the paper portion of the price tag sticker isn't difficult, but removing the sticky residue from the mirror can be tricky. You can get the price tag sticker and adhesive residue off the mirror with careful techniques and supplies that won't damage the mirror. Get rid of sticky price tags for an unobstructed view. Pour 1 cup of warm water into a bowl. 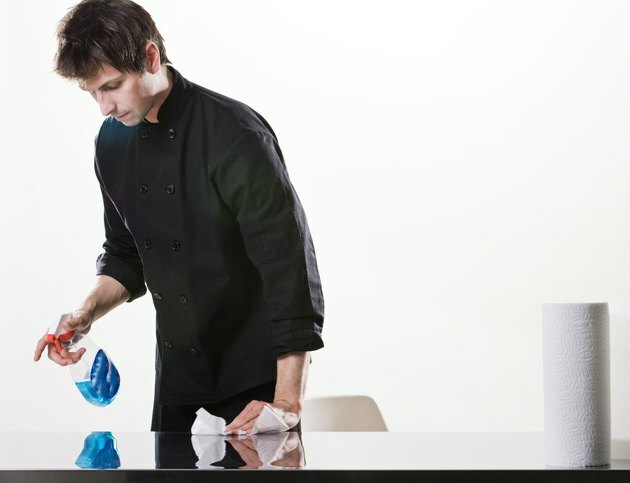 Add 1 teaspoon of dishwashing detergent and stir the two ingredients to make a soapy solution. Moist heat and detergent loosen the price tag. Wet a clean cloth with the diluted detergent. Wring out excess moisture. Lay the cloth over the price tag and leave it there for 10 minutes. Remove the damp cloth from the surface of the mirror. Position the edge of a credit card next to the edge of the sticker and gently scrape up the softened price tag. Repeat this to remove as much of the sticker paper as possible. 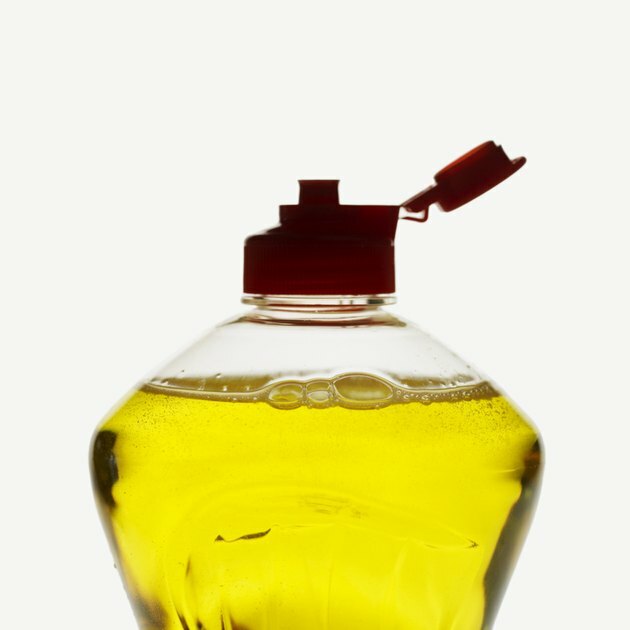 Loosen the grip of the price tag sticker adhesive by smearing cooking oil over the glue. Apply a thin coating of oil to the adhesive and allow it to sit for one to two minutes. Scrub the mirror with the soapy cloth to remove the price tag adhesive. Dry the surface with another cloth. Finish by cleaning the glass mirror surface. Spray the surface of your mirror with window cleaner. 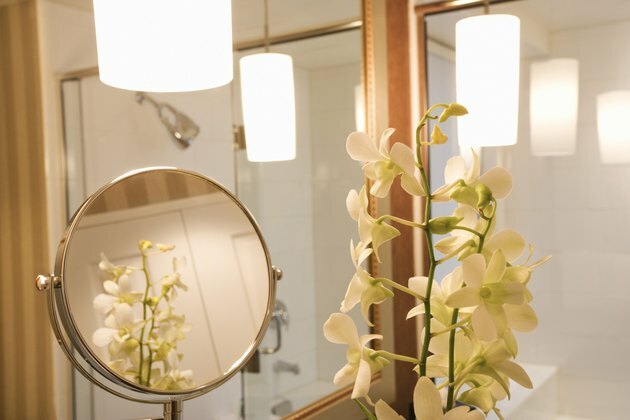 Wipe the mirror with a dry cloth to remove oily residue and any last traces of glue.